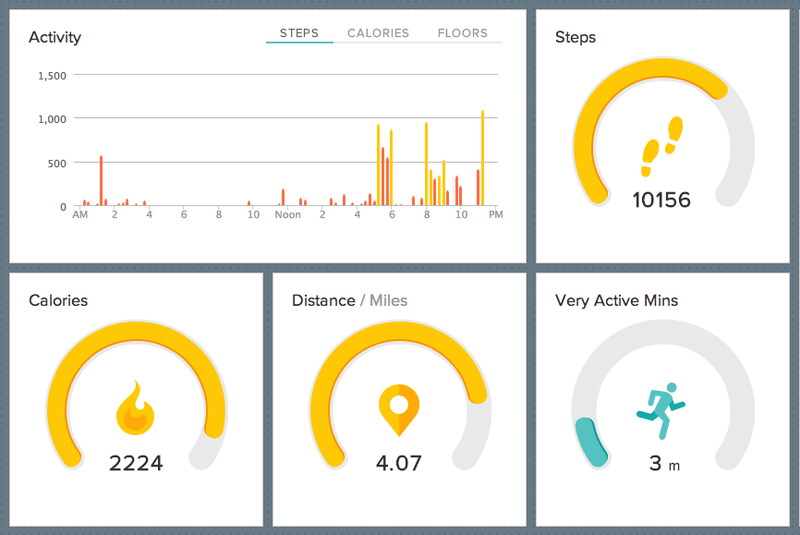 I’ve been on a Fitbit kick for a few months now, and have spent quite a bit of time getting to know the Fitbit One, which I really love. After I lost my second one, however, I started to think that maybe I should get a Fitbit Flex instead, since they’re harder to lose, being strapped to your wrist. I don’t want to spend too much time discussing the merits and flaws in the various personal health trackers. I had a Jawbone Up and hated it. To be fair, I got one of the early ones, before they issued the refund for anyone who wasn’t happy. For those who are curious, the manual jacking-in to sync and the cap for the jack that always ended up lost were the main reasons the Up was a massive letdown for me, and why I like the Fitbit so much more. I also have the Aria scale (love it), which lets me weigh myself and automatically logs it to my Fitbit dashboard, so I don’t have to face the shame of manually entering it. And I’m not a runner, so the Fuel band didn’t make much sense. I’m super-excited to learn more about the Amiigo, but I really hope it works with the Fitbit API so I don’t have to lose the single-dashboard awesomeness with the Aria and everything else. 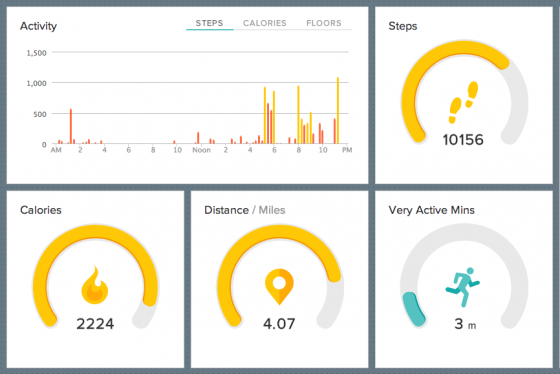 The Fitbit’s developer API platform is a big reason I went with them. They integrate well with lots of other apps and services, and that’s pretty cool. This one in particular seems rad. 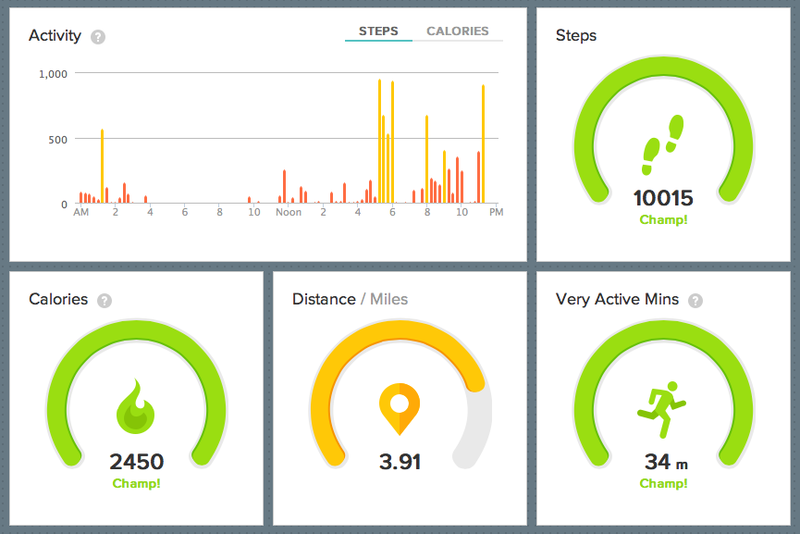 Access to the Fitbit dashboard which allows you to log food, water, other exercises, friend rankings, etc. The Flex measures steps by the swing of your arm, not the movement of your torso. This seemed like it could be a problem for me for a few reasons. First, I don’t always swing my arm while I’m walking (if I’m carrying something, walking the dog, etc.) — and second, I’m Italian and talk with my hands all the time. No, I mean All. The. Time. I expected the Flex to show inflated numbers overall, since I move my hands a lot. I should mention, I’m already starting this with the notion that the One is probably more accurate, simply because of how it calculates steps, and because short of physically, manually calculating every actual step throughout my day, I have to assume one of the two of them is “more right”. 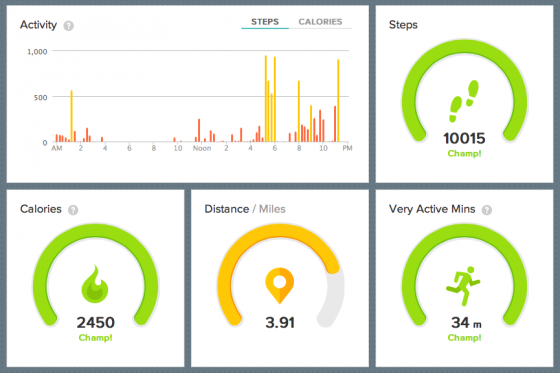 My goal here was to determine how big of a difference there is and whether specific activities are more prone to erroneous step-counts than the other. Having used the One for a few months, I am very comfortable with its overall accuracy. Naturally, I decided to test it out. I’m currently wearing both the Fitbit One and the Fitbit Flex at the same time, and have put together a spreadsheet of my findings, which I’ve been logging at various times during the day. I will continue this experiment for a week, updating this post (and the spreadsheet) with new data points. The Flex does not seem to erroneously register typing as a step, which I’m glad for. I type very aggressively, so that would have been an instant deal-breaker for me. Also, the graphs below were captured using data from a Tuesday, which is my work-from-home day, which is why the step level is much lower than other days you’ll see in the spreadsheet over time. My step-count is always very low on Tuesdays. While the Delta is interesting by itself, the Variance Delta is potentially more interesting to me, since it will help me understand which activities tend to register with particular wide gaps in step counts. You’ll see the Variance Delta in the block immediately after “Dinner+drinks” is the highest so far, and dinner and drinks is a period of almost no walking, but lots of hand-wavy, enthusiastic talking. I will continue to log my data, and annotate any particularly unusual activities for context. Keep checking the spreadsheet, and check back here in a week or so for my conclusions. Leave your questions or thoughts in the comments, or ping me on Twitter @snipeyhead. Make or Buy The Internet from "The IT Crowd"